I'm not going to lie- when it comes to crafting, baking, etc, I have a few addictions. Cookbooks, especially the vintage kind, have a very special place in my heart. While I typically end up just using the recipe as a guideline (yes, I'm one of THOSE people), I still love reading through books to get ideas. The more pictures, the better. 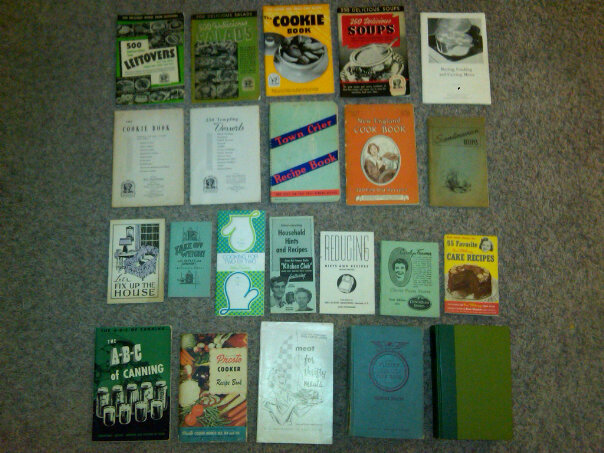 Maybe one day I will have my own cookbook (HA, yeah, right). This is part of my collection, there are a few laying round somewhere else but I couldn't find them. 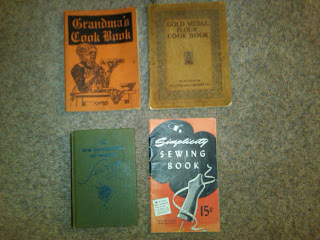 I think my two favorites are the Williams-Sonoma "Essentials of Baking" and "The Victory Binding of the American Woman's Cook Book, Wartime Edition (1942)" that I got as a birthday present. I recommend the WS book for anyone that is interested in baking but doesn't have much experience. They have a wonderful way of explaining how to do things, there are pictures of techniques as well as detailed instructions, and troubleshooting pages (which I love). They also have a section on what different types of equipment and how to use them. 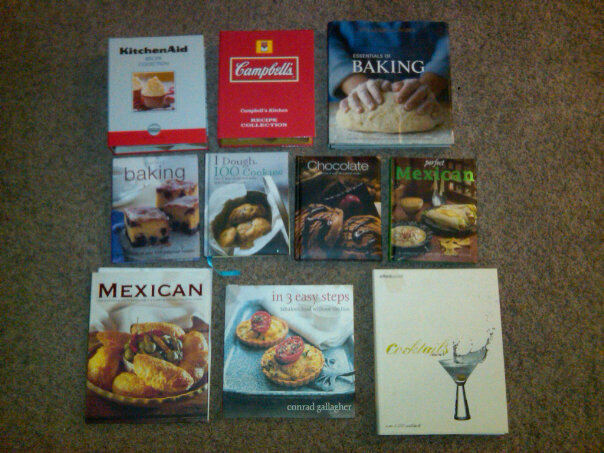 What is your favorite cook book?